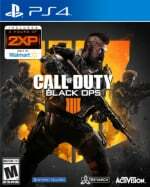 Site News: Where's Our Call of Duty: Black Ops 4 Review? Call of Duty: Black Ops 4 is out now, and you’re probably wondering where our review is, right? Well, you’re going to have to sit tight. The reason for this is because the latest in Activision’s ginormous series is heavily online focused, and while we could have pushed for invites to swanky review events, we prefer to cover these kind of games in the same climate that you’ll be playing them in. That means we’ll be hopping online imminently and trying to get our first Blackout win at the same time as the rest of the world. We appreciate it’s frustrating if you’re on the fence, and we’ll try to be as quick as we can, but given the importance of online to the Treyarch title, we feel it’s important to experience the exact same thing that you will. 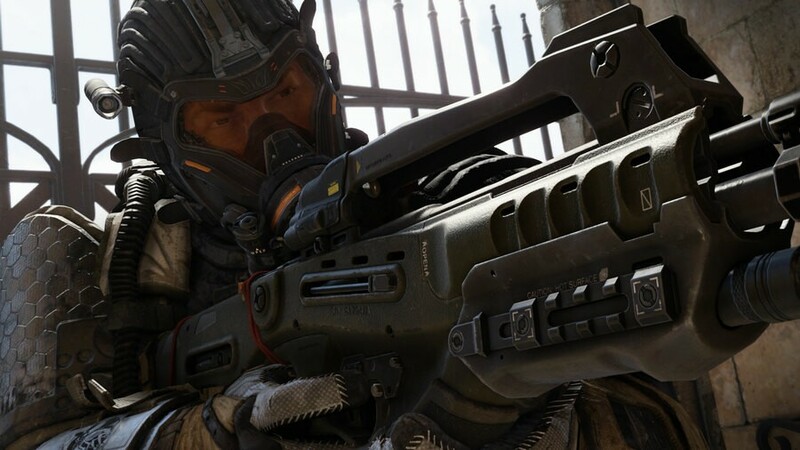 So yes, there’ll be no review for Call of Duty: Black Ops 4 until next week at the earliest – although we do hope to bring you some early impressions as soon as possible. If you’re undecided about whether this is the game for you, may we recommend sitting tight until plenty of reviews go live – the game’s not going anywhere, after all. Thanks for sticking with us and continuing to support the site. Who care ? COD games are trash. Eh, doesn't bother me one way or another. I am passing on CoD this year. Ill probably just stick with the best shooter out atm...... Titanfall2 !!! Take your time and do it properly, perfectly fine. Looking forward to the staff's impressions. Looking forward to the review, but couldn't care less about the game. Tomb Raider and Red Dead will keep me plenty busy till the end of the year, methinks. "and you’re probably wondering where our review is, right?" um, the same place all your other late reviews are, you didn't get a review copy? Though if you need a new joke, "Waiting for the 50GB day 1 update" would have worked as well. Blops 4 will be GOTY, it’s time to embrace the online future with battle royale and mobas only. I'm not interested in COD but I appreciate Push Square taking time to review. I wish you guys could do the same thing for every game especially online games. Possibly doing 'in progress reviews'? I appreciate the honesty. That's what RDR2 review should be like because there's an online component available later. One of the reasons I think scores are irrelevant is because the game reviewed is rarely the same one most people play later. Reviews need to adapt. Not saying they must re review every game later on but they need to be honest and a score is meaningless. @RDR2October26 Agreed don't care for BLOPS 4. Also love the new username btw. @get2sammyb You can take as long as you want when you come up with hilarious tag lines like top of the BLOps. @rjejr Ooh, don’t be mean. @JJ2 Great point. There would be no point reading a review of something like Warframe when it first came out, as a few years later it’s almost completely different. It’s great to see the site/staff put it’s members first when saying they would rather wait to review a game that’ll be in the same climate that we’ll be playing it in. My rental copy was dispatched yesterday so hopefully it should arrive sometime today. This is actually the first time in a long time that I’m looking forward to playing a new CoD game. cutting single player content was literally cutting me off the series. I know most people don't really care and say that's not what the game is about, but for a loner like myself, it's one of the only things I have in games. Picked it up at 6pm last night, started install at 6:15 50GB update finished installing at 10PM Mrs buggerd off to bed at 11:50 played untill 2:30am I have not looked forwad to a COD game this much in years. Loving it so far. I'm not a big CoD fan, mainly because I just don't have the time to git gud at them. But I do love me some zombies, so I'm looking forward to see how that is. Me and my wife play blops 3 zombies together alot, really a fun mode. Yeah, loss of single player lost me too. I like a good story to a game - or at least a character to carry the story through some kind of narrative. But it seems COD has followed the money - shame, it could have done both and drawn in a wider audience. Fair dues - I always wonder how outlets can review online only games so close to launch without a community playing. I feel that people on this site already know if they're buying or not. Would still read your impressions on it later on though. @RDR2October26 just what i was thinking who cares. lets play online with bunch of annoying kids. @Anguspuss That could NEVER happen right? What made COD good was the bombastic campaign! The classic Blops 1 campaign was a hit for a reason..
@FullbringIchigo With a 200mb broadband speed it’s not a problem for me but I’ve still got work tonight and won’t be able to play it for the first time till tomorrow night. I just want to know why "IIII" is a thing.... IV its IV!!!!! @Ryu_Niiyama Actually IIII is correct as well.